In this podcast we talk with Phaedon who runs CapeCoffeeBeans, an online coffee store. He describes his journey from buying his first burr grinder to purveying the finest roasts in the province. We get his perspective on brew methods, e-commerce, the local specialty scene and what he’d most like to find in his stocking at Christmas. Enjoy. Please rate us on iTunes / Stitcher and send comments. We are giving prizes away to those that do. From an entry level coffee burr grinder Phaedon’s love of coffee developed into what we know today as @CapeCoffeeBeans. Driven by a personal need to find an easy online site that allowed access to multiple roasters. 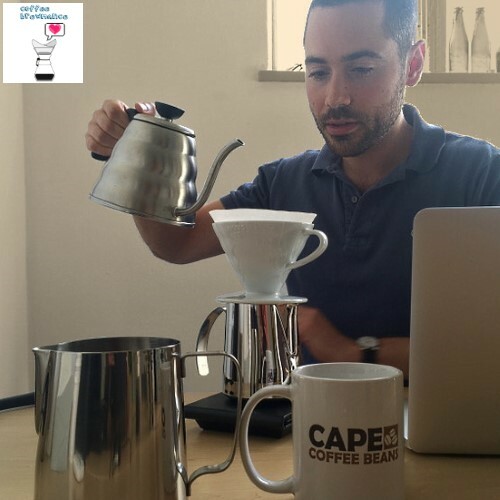 Since then Cape Coffee Beans has become a passion project for Phaedon and this shines through in his commitment to Cape Town’s specialty coffee roasting scene. Find out how Phaedon got into coffee, his first wow coffee and the first step of his journey towards the light of specialty coffee. Some future plans for Cape Coffee are touched on, listen so you hear it first. A few secrets of his success are touched on and the importance of dedication to task, enjoying what you do and offering only items that you yourself would purchase. Have a short discussion about the importance of scales and brewing consistency in brewing. Find out what Phaedon hopes to get in his Christmas stocking. 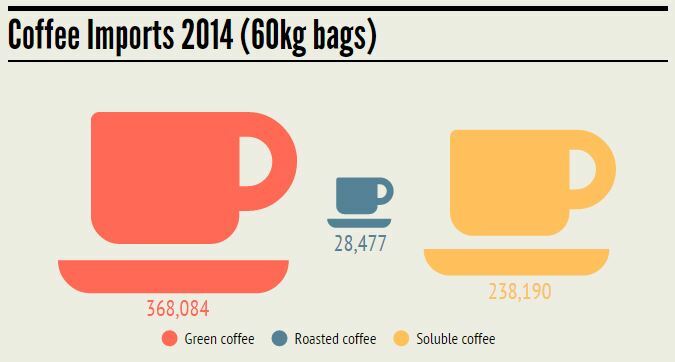 Gives his opinion on the growth of the Cape Town coffee industry, and it movement towards specialty.